Are you looking to work with someone who practices from a Health At Every Size® approach? 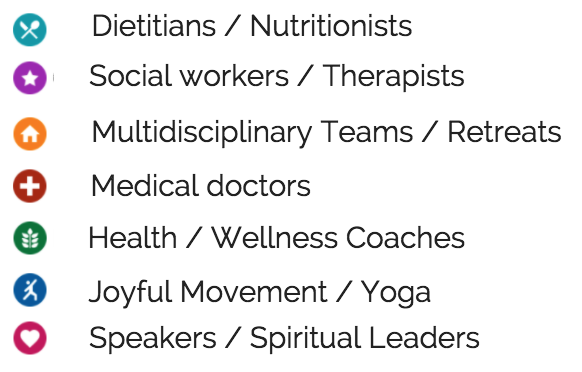 Josée Sovinsky put together this amazing list of dietitians, nutritionists, therapists, exercise professionals and health coaches to help you get started. Click on an icon to get more information about each expert.